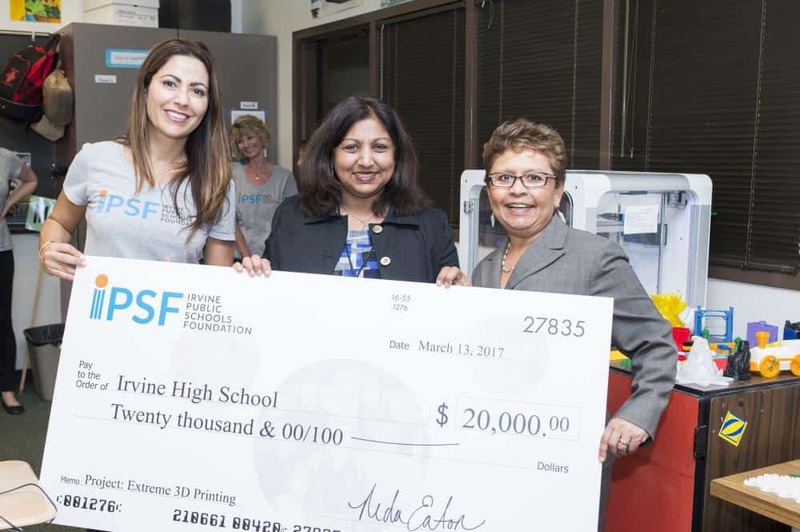 In 2016, IPSF in partnership with IUSD, helped launch the Irvine CubeSat STEM Program, which has provided teams from each high school the opportunity to assemble, test, and launch a nano-satellite into space! Our students’ first experience with CubeSat technology was the result of an IPSF Innovative Teaching Award Program (ITAP) grant that was presented three years ago to Tinh Tran of University High School. It was that spark that helped make this amazing endeavor a reality for our students. Through a collaboration with Mr. Tran and two Irvine dads, Dr. Brent Freeze and Kain Sosa, the Irvine CubeSat STEM Program was conceived. The team came to IPSF to help fund the program and engage our corporate partners to expand the project so it could reach all of the high schools in Irvine. Each year, IPSF awards over $130,000 to teachers and counselors through the Innovative Grants Program to support groundbreaking curriculum in the classroom to enhance the educational experience of students. IPSF is accepting applications for the Innovative Grants Program through January 30. Interested teachers can download the application on our website.